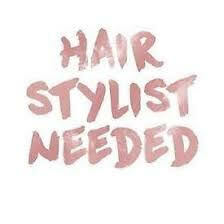 Stylist Wanted who loves Organic products as much as we do! Commission based or chair rental. Freestyle hair dryer and towel service included in chair rental. Kelli graduated from Stewart's School of Hairstyling in 1987. 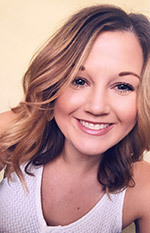 After working just 2 years in a salon, Kelli was called by Capri Cosmetology College and hired as an Instructor, where she taught a range of classes from basic training to advanced techniques. Kelli opened her first salon in 1991. What started out as a single chair salon flourished into a full service salon with 6 stylists, massage therapy, tanning, manicure and pedicure services and a gift shop. After Kelli became a mother she decided to sell her salon and work out of her home to raise her children. Kelli was also co-owner of Lin Marie designs, a direct sales company offering jewelry. But in 2005 when her youngest son was diagnosed with stage 4 Neuroblastoma cancer, she once again stayed home to take care of her family. Kelli researched cancer and how ingredients and environment can contribute to cancer. It was after this that Kelli's real concern for carcinogenic products became apparent. It is believed that hair dyes may contain carcinogenic components. As Kelli researched safer and more natural products, she found systems that replace highly toxic substances with more natural properties, in turn leaving the hair and skin in better condition. 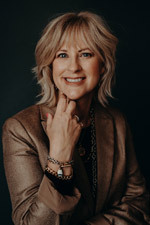 In taking consideration, lasting styles and great condition, Kelli has found products that will satisfy every client's needs. Kelli's years of experience joined with her updated fashion appeal will give women a younger look. Kelli has mastered covering those greys and giving you a style that not only works for you but gets heads turning! As the owner of Studio G salon and spa where she specializes in hair color and cutting. She has an appreciation for nature and displays that in her salon. Kelli has chosen to sustain to a no-odor salon, where there will no harsh ammonia. Studio G is committed to providing as natural as possible products as they can while still considering the needs of their clients. Brianne has 10 years experience in the Cosmetology field and is certainly here to please you. Brianne is excellent hair colorist and will take her time with you to make sure you are getting the look you want.